Will Conte’s Chelsea 2.0 Romp to the Premier League Title? What are the key characteristics that drive on a Premier League title winning team? If we take a look at the rollcall of the most recent champions, a cocktail of quality (obviously), luck (in avoiding injuries to key players) and psychology (in maintaining/finding form) seem to be the most obvious factors. But a new theory has emerged, and it’s one which – with a nod to Leicester City circa 2015/16 – is perhaps the most pertinent. This notion that not playing Champions League football is somehow beneficial to success on the domestic front is a new one; simply because in bygone years more often than not the Premier League champions have also embarked upon a European adventure of some kind in the process. But the Foxes’ historic triumph has led many students of the game questioning the sense of having to play at least six more matches per season; often in far-flung, snow-bound corners of the continent. It certainly hasn’t helped their title defence, that’s for sure. If it’s true that not playing in the Champions League is beneficial to domestic glory (and thus qualifying for the following campaign’s Champions League), then the beautiful game is truly eating itself. Antonio Conte won’t mind, however. Without sojourns to the likes of the Ukraine and Belarus to worry about, he is able to work with his players throughout the week in training – one thing that has led to such a successful, seismic shift in strategy mid-season to the 3-4-3 formation that has so befuddled their last nine opponents, who have all gone home vanquished by the Blues’ enterprising attacking play and sheer weight of numbers in defensive areas. If his side were occupied in midweek, the requisite work on the training ground in devising this new system would be nigh-on impossible. And having a largely injury-free squad to choose from helps immensely, too. That was one area in which Leicester benefited last season – who needs a Plan B when you can keep rolling out Plan A so consistently? – and it has been a case of so far, so good for Chelsea on this front as well. We must not underestimate the importance of this: Conte has, largely, been able to name an unchanged side in seven of this extraordinary nine-game winning run. Any allegations of a lack of squad depth can be brushed under the carpet when the same troops are taking to the battlefield week in, week out. 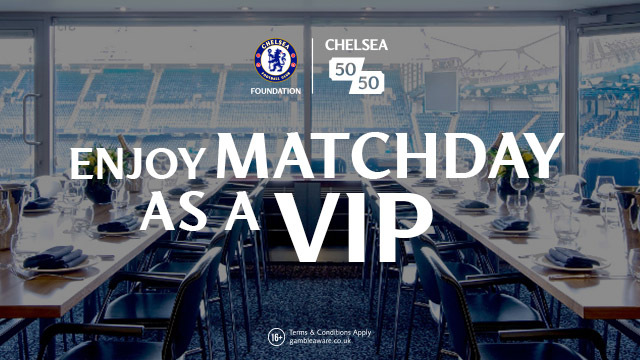 The mirroring of Chelsea circa 2015/16 with Leicester City of this present campaign is instructive, and adds further impetus to the argument that less is very much more when it comes to winning the Premier League title. 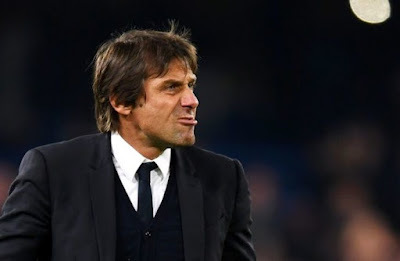 After 15 gameweeks of the last campaign, Chelsea – the reigning champions remember – were in fourteenth place, with a paltry 15 points to their name after suffering eight defeats. Fast forward 12 months and we find Leicester in, yep, fourteenth place, with 16 points and seven defeats on the board. 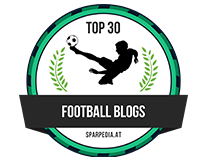 Flip the script and the Blues, with 37 points to their name at the time of writing, are five clear of the total that the Foxes had accumulated at this point in 2015; the same Foxes that were ten clear when they went on to win the Premier League title. Any pundit worth their salt, even those tipping them for the title, will be expecting a regression from this Chelsea side at some point, but history – that old chestnut - tells us that six of the last seven champions have topped the table on Christmas Day. Given the lapses of Arsenal, Liverpool and Manchester City, it looks a certainty that Conte’s outfit will be looking down on everybody else in the division as turkey is devoured and elderly relatives break wind with gusto. It would be foolish to suggest that Chelsea’s ascent to the summit has been driven by anything other than their excellence; in this nine-game winning streak, they have beaten Manchesters City and United as well as Tottenham, Southampton and Everton. A number of pretenders have tried and failed to derail this blue juggernaut. Of course, it helps when many of your nearest rivals are riddled with deficiencies. Solid building work starts with a firm foundation, and currently the Manchester City rejuvenation project is being built on a base of stones: John Stones. The hapless centre back is summarily billed as a ‘ball-playing defender’ and an ‘excellent prospect’ by those ‘in the know™’, but even the most unknowledgeable of pundits can see that he is simply an accident waiting to happen; a defender that, well, simply cannot defend. Pair him with another non centre back such as Bacary Sagna or Aleksandr Kolarov, as Pep Guardiola has been doing, and you have not a recipe for a disaster but for full-blown catastrophe. For Guardiola, greeted with Messianic proportions in the summer, the crown is slipping….and fast. Elsewhere Liverpool are showcasing a defensive generosity as charitable as City’s, while the question ‘will this be Arsenal’s year?’ is up there with ‘will it snow on Christmas Day?’ in the pantheon of enquiries that have shifted from the serious to the rhetorical in the past decade or so. As for Tottenham and Manchester United….they just don’t seem to have the verve and vibrancy of a title winner. So to answer our original musing the answer is yes, it does appear that 2016/17 will be a year of renaissance for Chelsea; mostly of their own doing, but aided by a gaggle of unconvincing competitors.